Everybody likes FREE. So here is a page where you can find free math games. Go to my FaceBook page, I often post free games I find there. Look thru the 200+ links I've posted many are to free onine math GAMES. This page will one day have tons of links to pages on and off site for free games that I use when tutoring and you can use with your students, or children or maybe even yourself. GET CREWTON RAMONE'S AMAZING ADDENDS FREEWARE!! The freeware is now available for "download " and it is an I-app that you can get at the I-Store just go search Crewton Ramone and download it to your I-Phone or I-Pod touch. This software helps your student practice building nines and tens. Turns your phone into a learning tool! Soon it will be expanded to include all 45 addends and some games. It is currently available as an iApp for FREE. Just go to the Apple iApp store and search Crewton Ramone. It will be the first thing that comes up. Games and activities are the mainstay of math lessons for ANY math student. College professors have found they can teach a lot of math by building games and simulations that "force" the student to use math, many games involving geometry or trigonometry involve figuring out firing trajectories on tanks, space ships and so on. They are fun to play and teach students faster than drab text books do. 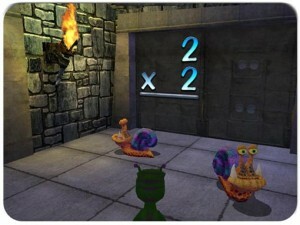 I aspire to create games that teach all kinds of math from counting all the way to algebra and beyond. This is actually in the works but meantime here are some people who beat me to it with a GREAT Multiplication game. Basically a little dinosaur runs around a dungeon doing multiplication to get thru doors and mazes, gently fights monsters etc...heck I had fun playing it, and I know my multi- plication tables. Be sure to use my links so I can get credit if you do in fact buy the software. Playing the free game is also very cool but of course the pay version has lots more fun levels and scenarios to go through. Really, the more your kids play it, the better they will be at multiplication and multiplication is THE FIRST MILESTONE in the Mathematics because it allows you to count very quickly. This software in addition to the blocks and skip count songs as well the Multiplication Rock vids should help to make memorizing their multiplication tables FUN as opposed to painful. Repetition is the mother of skill, and variety they say is the spice of life. Use generous doses of both for multiplication. This is where we first "lose" students statistically speaking. Why? Because students hate drills and monotony...keep it fun and keep your students outlook towards math POSITIVE. Here is a fun "find the blocks" page. Great for preschoolers and kindergartners. 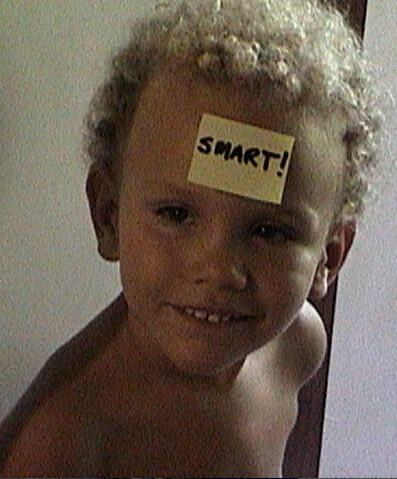 They say you shouldn't label your kids otherwise you might stifle their growth and creativity. Here at Crewton Ramone's House Of Math we throw that out the window. Label your kids all you want...with positive labels.